#0004. 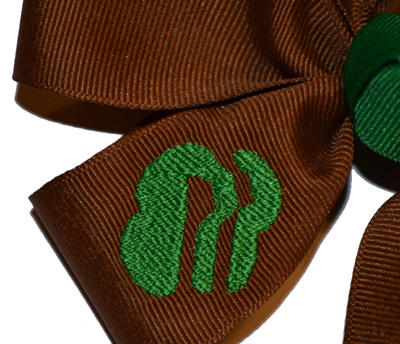 Large Girl Scout Embroidered Bow - YOU PICK THE COLORS! !